One lesson that Communication senior Michael Kneip has learned over the years is that a PB&J sandwich can go a long way. An offensive lineman on the football team with two seasons left, Kneip is using his position at the UW to give back. 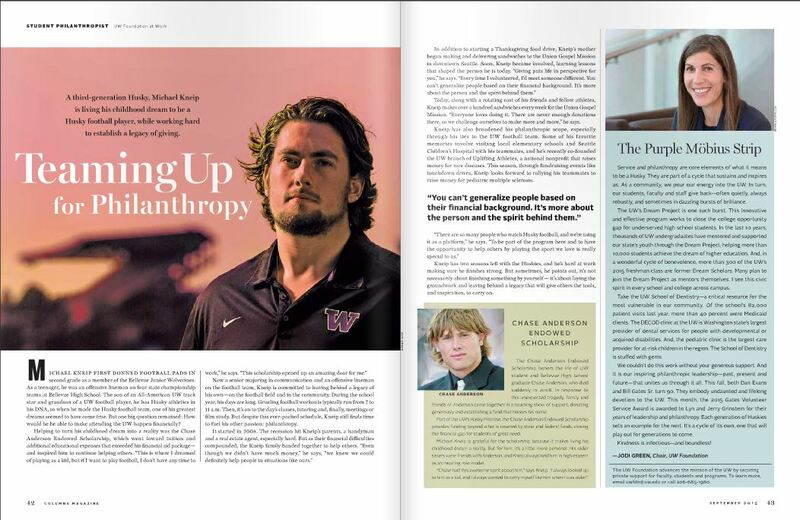 Kneip was also featured in a two-page spread in Columns magazine on pages 42 and 43, pictured above.